During the 16th century, Potosi and the surrounding area was regarded as the world’s largest industrial complex – due to the utterly vast amount of silver reserves in the area. At its peak in the early 17th century, approximately 160,000 native Peruvians, slaves from Africa as well as Spanish migrants lived in Potosí to work the mines around the city. To put this into an understandable context or perspective of its stature at the time in the world; it amassed a population larger than London, Milan or Seville. 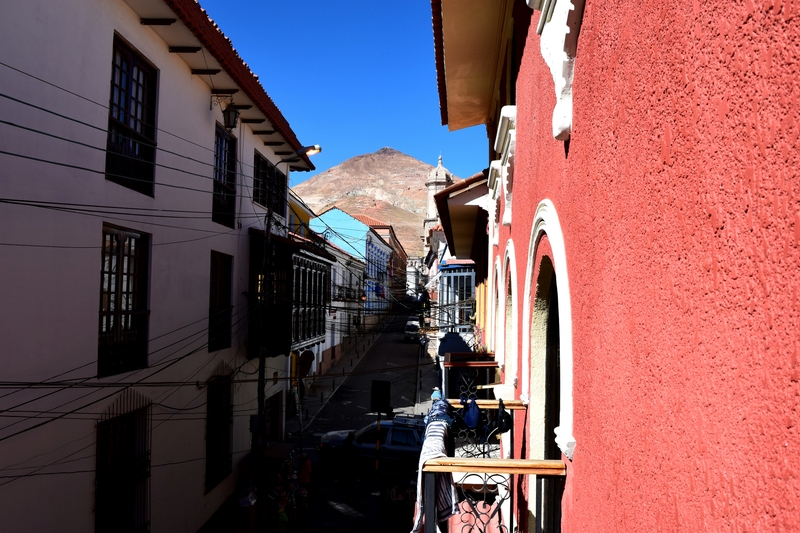 Some academics have strongly put forward the notion that Potosi was a birthplace of capitalism that changed the dynamics of global economics. Today, when wandering Potosi, I can assure you that peering around a former global economic epicentre is not something that springs to mind. In the most capitalist of ways, it served its purpose. Its glory days have sadly been and gone. Historically though, there is no doubting its importance. Essentially, it played a significant role in assisting and contributing to the facilitation of expanding European powers. Mining still exists in Potosi today with Silver and Zinc, but whilst countries such as my own (Great Britain) have seen gradual improvements in working conditions in the last 150 years or so, the same cannot be said in Potosi. Working conditions there are unfortunately scarcely believable. On average, 40 still die every year. Many “tourists” who visit are encouraged and often entertain themselves by taking part in various mining tours. Whilst this generates an income for the city and consequently, its residents, I personally didn’t feel comfortable essentially paying x amount to witness and watch men working in the most horrific mining conditions. Just not my thing. In my mind, the notion resembled going to a zoo. Instead, I did what I tend to do best, entertaining myself by simply walking around, getting a feel for the city, trying to speak to a few who are willing and exploring the wonderful variety of food markets.